I am skilled in print and online content creation, video and audio production, as well as social media marketing and branding. 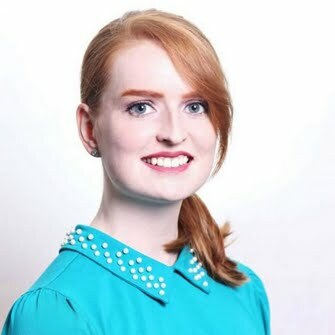 Having gained the majority of my industry experience with IrishExaminer.com, BreakingNews.ie, Evening Echo, No.1 Media Group and Ballinasloe Life, I can safely say that I have a nose for news and a sense of target audiences, which I can transfer into a growing readership. I have blogged under many website names but I have recently started from scratch with Compassionate Fox. At this site I have taken my passion for animal welfare and liberation and coupled it with my love of writing and content creation to bring readers a place to educate themselves, their family and their friends about living a cruelty-free and vegan lifestyle. They can also enjoy features, profiles, interviews, reviews and recipes, and I encourage open discussion in my comment sections. Apart from professional writing I also have a penchant for creative writing. I have studied the art with Joseph O'Connor, Donal Ryan, Giles Foden and Mary O'Malley at the University of Limerick. During the course I began writing my first novel, which I am still working on. 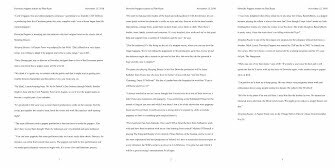 I also enjoy writing short stories, poetry and have recently begun drafting my very first screenplay for a sci-fi movie, with notions of a horror script following that. This is a panto with a difference, as the Dowtcha Puppet Company are just that, a cast of puppets, each made specifically for their role and controlled by talented and skilled actors/puppeteers. Marguerite O'Sullivan is a successful engineer, always encouraging young women to get involved in STEM but she is also an avid adventurer, having climbed the 6,500 metre-high Mera Peak within her already busy schedule. 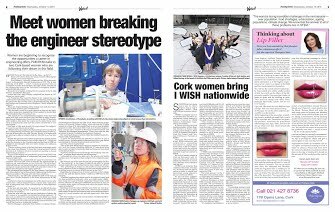 Here I spoke to two women working in GSK about their careers in engineering. We discussed everything from a typical day to being a woman in a male-dominated industry. 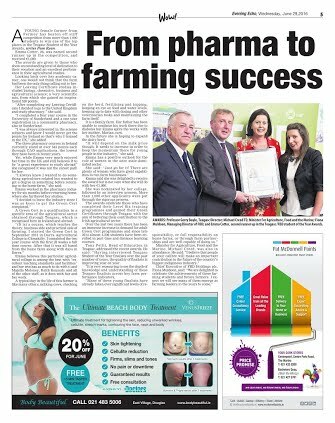 Emma Cotter had a successful career in pharmaceuticals before making a major career switch to farming, where she quickly made herself known as a successful woman in a male-dominated industry. 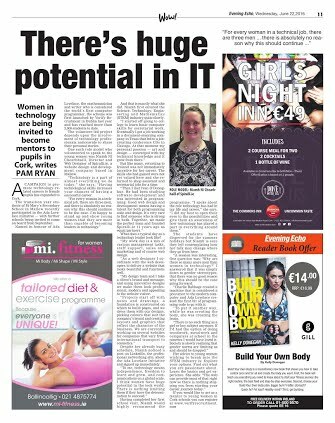 I examined the Ada Lovelace Initiative and what is aims to do and is achieving in sparking an interest in STEM subjects and careers in young girls. Compassionate Fox is a blog and website I am beginning, with the aim of creating content that not only documents but educates on living a vegan and cruelty-free lifestyle.